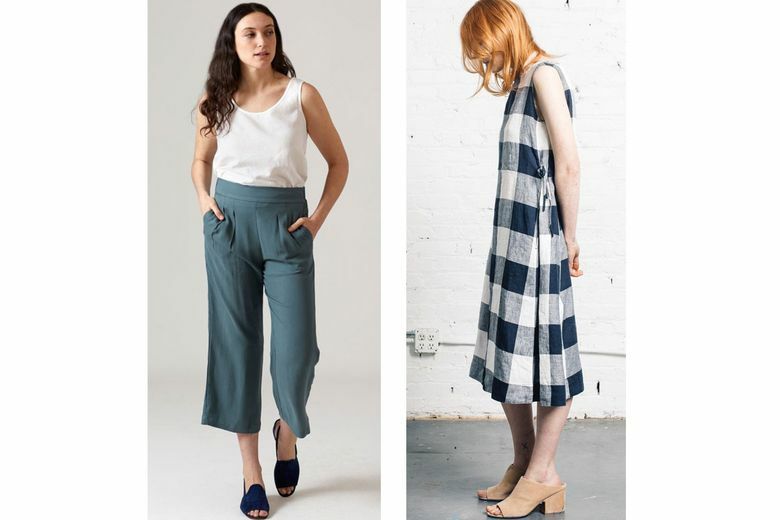 Light, easy summer clothes for men and women. Farewell, cold, rainy days. Spring and summer usher in a much sunnier vibe, making it easy to look forward to lightweight, feel-good fabrics and bright, bold hues. With the whole season ahead, there are ample al fresco opportunities — poolside, beachside and deckside — to show your friends how it’s done. Revamp your summer wardrobe and stay on top of the trends with a few of these must-have pieces for summer. 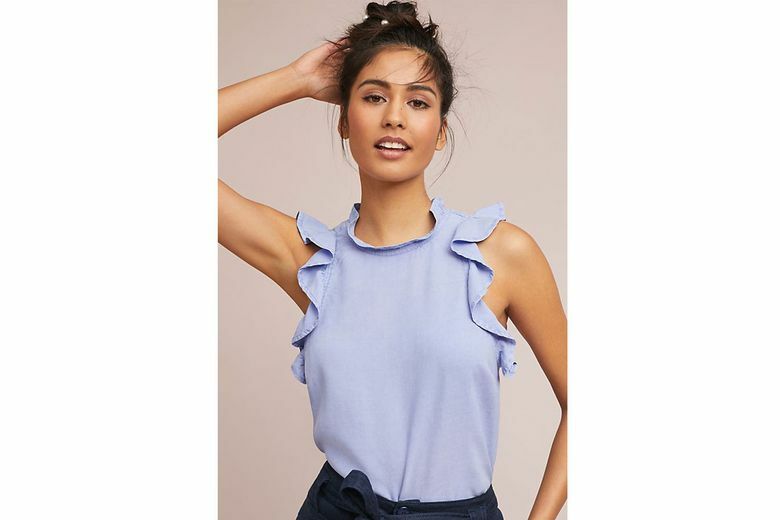 Cloth & Stone Ruffled Tank ($78 at anthropologie.com). Ruffles are a top trend this summer, and this super-soft top, available in red, white or blue, hits the mark without going too girly. Work-ready, it also instantly upgrades a pair of jeans. Zara Linen Wrap Blouse ($70 at zara.com). Swap your white work button-down with this loose linen number for breezy style. A self-wrap belt provides shape if you want more structure. 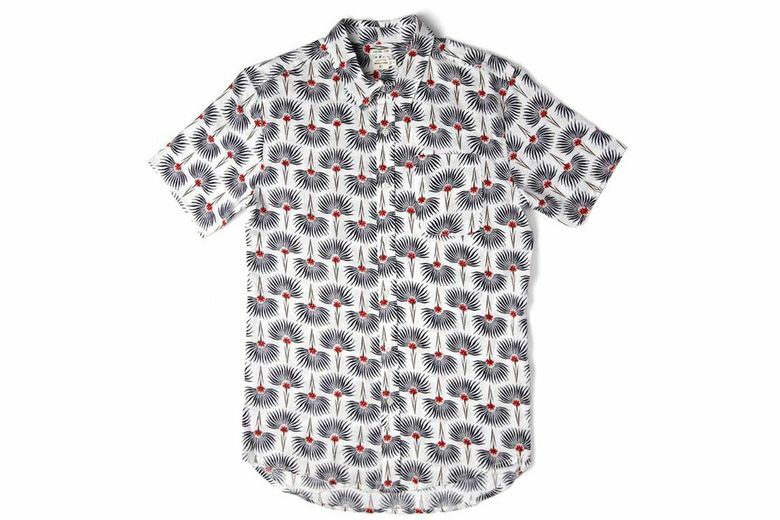 Bridge & Burn Harbor Hawaiian Print Short-Sleeve Button-Down ($108 at bridgeandburn.com). Hawaiian shirts are a summer staple. This one, out of Portland, will fit right into your regular rotation for work or play with its non-kitschy graphic print. 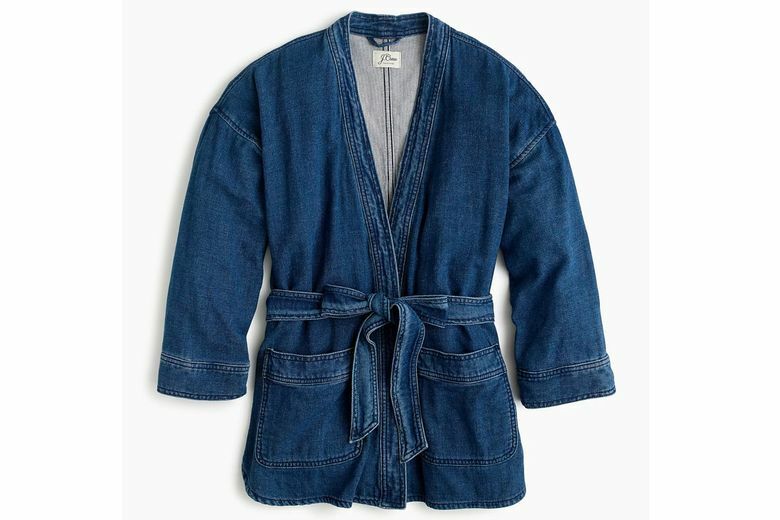 J.Crew Denim Wrap Jacket in Deep Indigo Wash ($110). Not your average jean jacket, this wrap style will keep you warm on cooler summer nights and can be thrown on over anything. 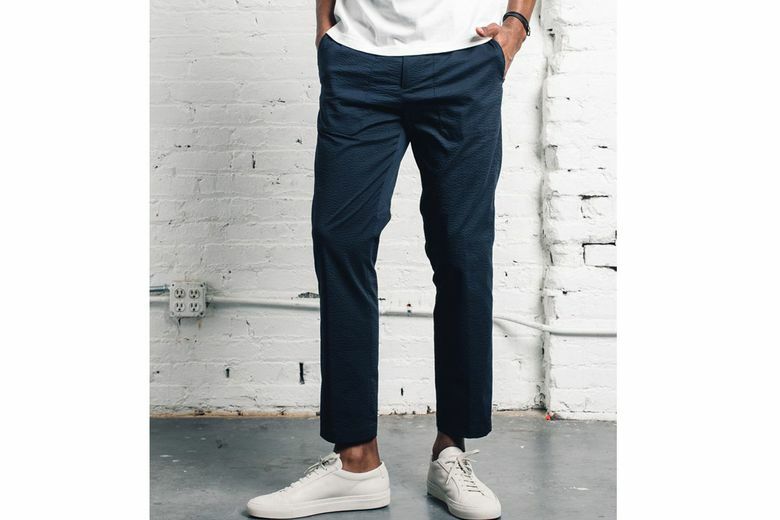 North of West Pleated Pant in Deep Forest ($120 at shopnorthofwest.com). Effortless and on-trend, these comfortable, wide-leg crop pants have a chic silhouette with modern tailoring around the waist. Banana Republic Girlfriend Stain-Resistant Cropped Jean with Fray Hem ($98). 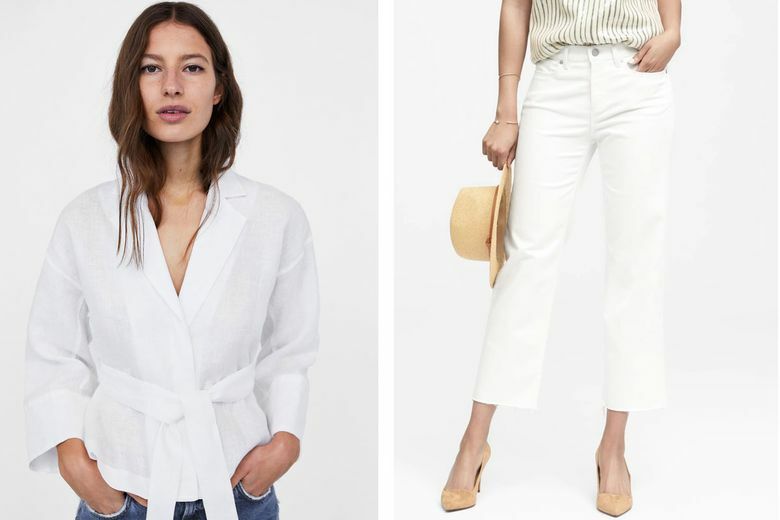 Finished with a trendy raw hem, these white denim jeans can be elevated with a silk blouse for the perfect high-low look that transitions from farmers market to dinner. Norse Projects Harri Tapered Seersucker Pants ($250 at Glasswing, Capitol Hill, and glasswingshop.com). Seersucker has serious summer staying power. The puckered-cotton fabric is made modern in this slim-fitting trouser that’s light enough for day and elegant enough for evening. You Must Create Eileen Dress ($254 at Glasswing). Gingham continues its reign as a go-to print this summer, and this swingy linen dress makes it all the more appealing, with easy, preppy style.